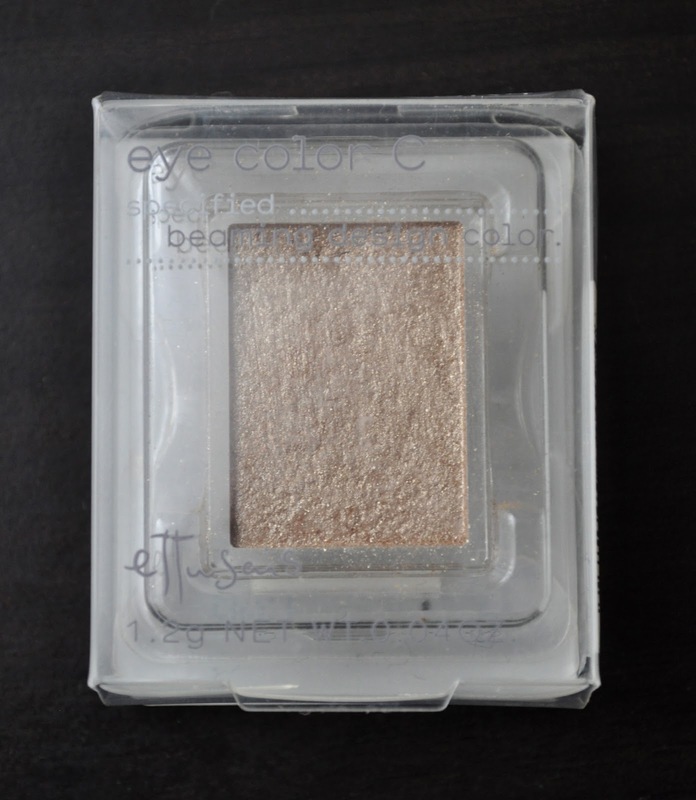 Anyway, I picked up the Eye Color C eyeshadow pan in BR4 from the Japanese drugstore brand Ettusais. BR4: is a Shimmery soft champagne gold with fine gold glitter. Japanese drugstore eye shadows can be a hit or miss for me. 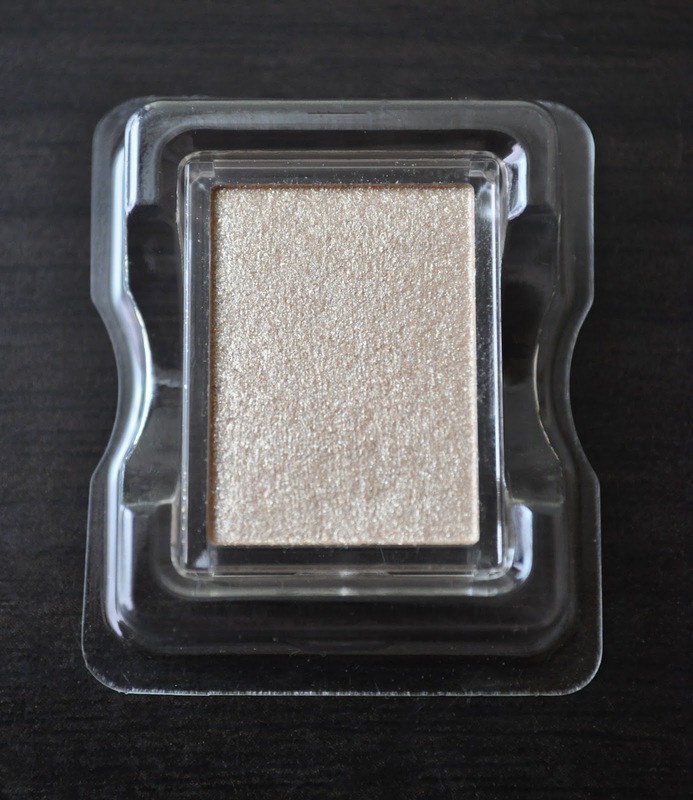 Some eye shadows are poorly pigmented and packed with a glittery sparkle that feels a bit too juvenile. 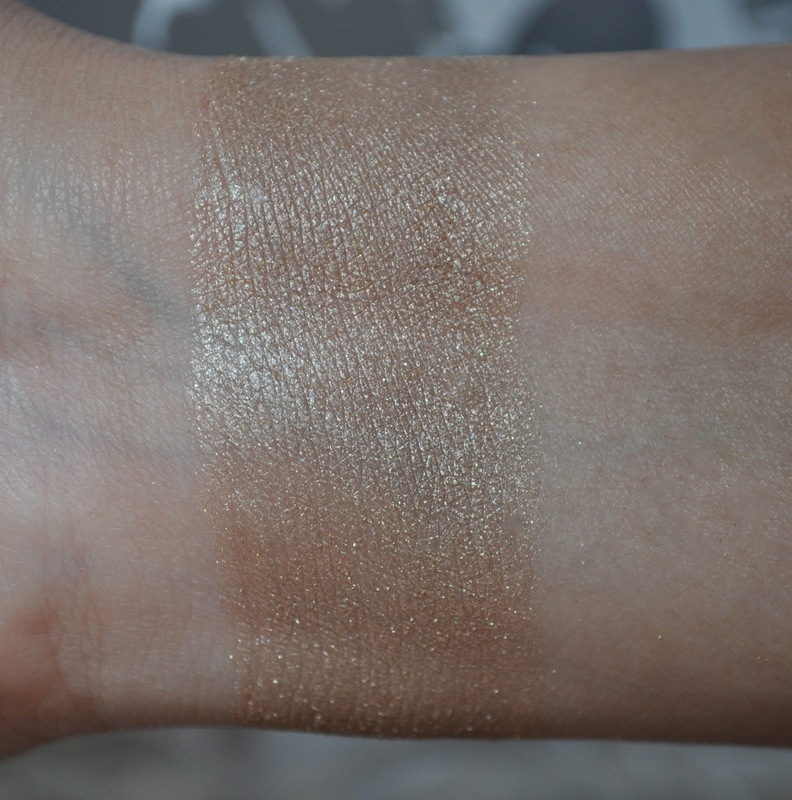 Ettusais was a happy medium; although, there were glittery sparkles, the pigmentation was great and the texture buttery smooth. The wear time was okay, I got about 6 hours (and that's with my beloved Nars smudge proof eyeshadow base). Overall, I did like the Eye Color C eyeshadow from Ettusais and I will be picking up the chocolate brown shadow in this line...Yes, my OCD is rapping at my chamber door! Have you tried anything from Ettusais? I haven't seen this brand for ages! I've only used their pore care range of skincare, back in the day where I had crazy bad skin. Since the products didn't work I haven't used this brand since! That eyeshadow looks relaly pretty tho! and you are so lucky to be in Japan, I miss all the good food and shops! If you ever come back, we need to hangout! Yeah, it's Plaza. This is a nice simple wash of color on the lid shadow. this is pretty, def something you can wear on a daily basis to enhance your beauty, its fresh and natural- love it. Yuli, if you like, I can pick one up for you.